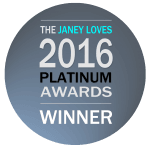 In May we entered our Goats’ Milk Honey Oats Soap into the prestigious Janey Loves Platinum Awards and sent samples to be tried and tested by a celebrity panel of judges. 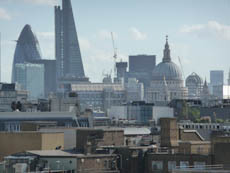 Whilst Dave remained at home to ensure the smooth running of the business, I travelled to London with our son, Matt. 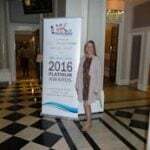 We arrived at the Grand Connaught Rooms in Covent Gardens at 8.40am on 30th October 2016, just time for a quick photo before the event commenced. Matt was going to be my photographer for the day – I couldn’t have wished for a better person to have by my side. 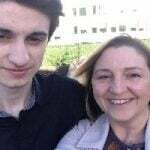 He calmed me when I wobbled, supported me when needed and made me so proud to be his mum. 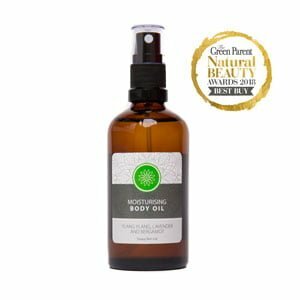 The judges included the highly respected singer, author, television and radio presenter and the leading expert of all things natural – Janey Lee Grace. This is a woman who I feel totally aligned with, as we share the same belief of using natural products on our skin and only using ethically sourced ingredients. 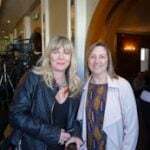 It was an incredible honour to meet her, although I did feel a little overwhelmed by her presence and became star struck when she came over to say hello – all the questions I had thought of emptied from my head and left me talking nonsense. Hopefully, she will put my jabbering down to nerves and not think that I am a complete buffoon lol. I’ve got to say, during the awards ceremony, I came to admire her even more: this is a woman who gives her time to others, makes herself accessible and came across as a truly genuine person. Furthermore, she is an inspiration as a successful woman in business who hasn’t become pretentious nor narcissistic and has the ability to put other people’s dreams before her own in a most nurturing way. I am grateful to have met her. During the competition, she was supported by her panel of judges: Zoe Ball, Carrie Grant, Jo Wood, Dr Marilyn Glenville and Lynne McTaggart. Together, they tested the products and along with the public’s vote a decision on who should be awarded the recognition was made. 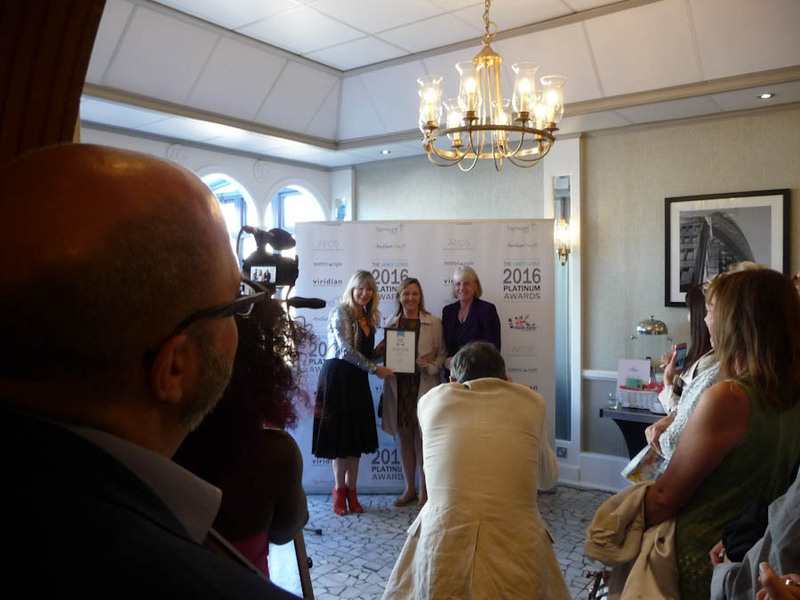 When the winners of the Natural Soap/Body Wash Category were being announced, Janey started with the ‘runners up’ first: Weleda received silver, The Little Soap Company received Gold and at this point my heart sank. How could we ever be judged a winner above these two very successful and reputable companies? 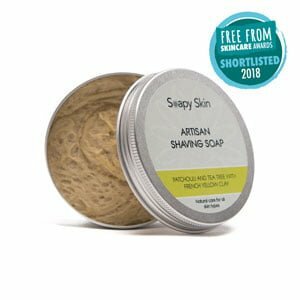 I was completely overwhelmed when I heard the words ‘the winner is Soapy Skin Ltd’. In a daze, I made my way to the front to receive the award and have my photograph taken with Janey Lee Grace on one side and Dr Marilyn Glenville on the other. This is all a blur as I smiled like a Cheshire Cat and humbly accepted the award and recognition for all our hard work. When I asked Matt how he felt when our name was read out, he responded with how ‘proud’ he was and how much we ‘deserved it’. For Dave and I, well we were overwhelmed by the recognition. It is confirmation that the size of the company, the size of the company’s turnover or the years we have been in the industry doesn’t necessarily matter, it is the burning desire to create a product that is made from natural ingredients that benefits people with a need. In this case, the soap was created for those people who suffer from sensitive skin, including eczema, psoriasis, acne and itchy skin. And when you are successful in helping others, everything else seems to fall into place. We have always believed in creating a product that benefits others and this is of paramount importance. In September of this year, I was in a meeting when the speaker asked me directly what I wanted to achieve in my business within the next 3 – 5 years. 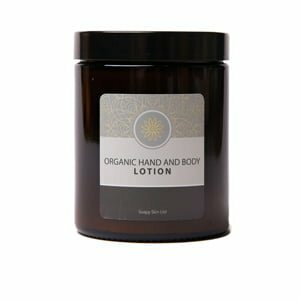 He was bemused when I explained that I wanted Soapy Skin to be a household name, and when someone was suffering with sensitive skin, it would be our product that was recommended to them. He couldn’t quite get his head around the fact that money was not the driving force behind the company!! Finally, and most importantly, now that we have had time to digest the information and realise it wasn’t all just a crazy dream, we are grateful and honoured to have been chosen as the winners of such a prestigious award. I would like to take this opportunity to thank all of our family who have supported us as we embarked on this new venture. In addition, I would like to thank all of our customers who voted for us, and those who have supported us over the last two years. Well done both of you! Onwards and upwards! Best wishes – Julie Blackham. Hi Julie, Thank you for your continued support. 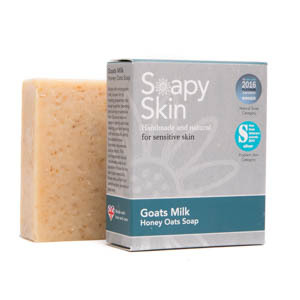 Well done Soapy Skin!! Congratulations, how exciting for you all, great news! 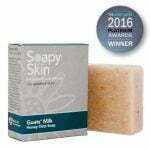 I’ve just discovered Soapy Skin I’m a new customer, and very delighted with my products, so pleased to read that you won this award!! !